Sandla Puit’s production is characterised as environment friendly as no dangerous waste is created when building wooden houses and constant improvement of processes is a part of our daily work. Sandla Puit’s team values a healthy and sustainable living environment. All waste wood is utilised either for heating the production facilities or producing wood briquette. Wood as a natural and renewable resource creates a precondition for the existence of the material for future generations. The raw material for wooden houses is a Nordic conifer from well-maintained forests, the quality of which is proven by the FSC® C130811 certificate. The fully automatic multifunctional woodworking machine Auer BL100A facilitates the production of different log profiles. The control programmes capacity to optimise production ensures a more cost-efficient material use. Houses are designed using CAD programmes and the drawings are sent electronically to the host computer of the machine. 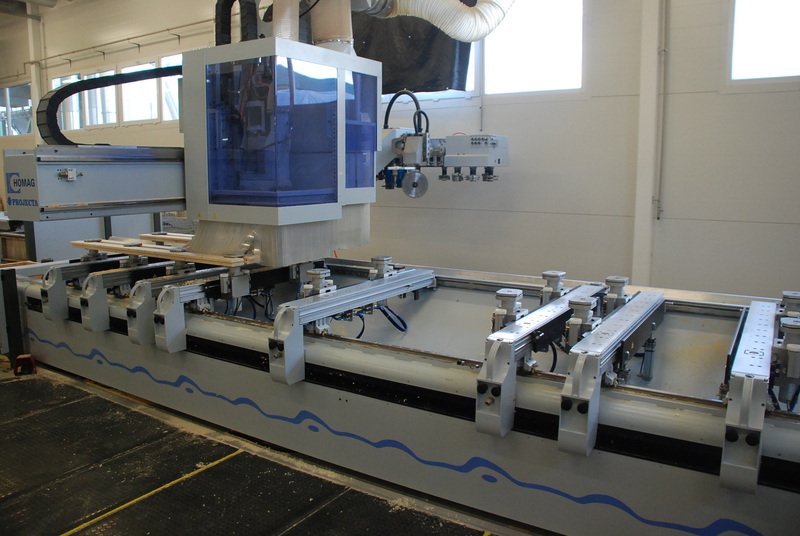 The machine cuts to measure all wall panels including required incisions for the wooden house. Each piece is numbered for easy and fast assembly at the construction site. 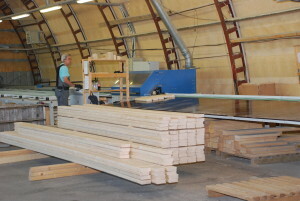 Most of the wood is planed on location at Sandla Puit which provides clients better quality and increased flexibility. The 8 spindles of the machine ensure high quality for the surfaces of the house details. 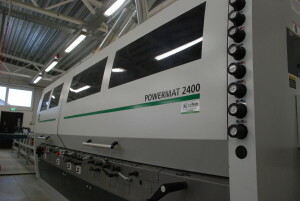 Depending on the cross-section the planer has a capacity of 60 running metres per minute or up to 20 000 running metres per shift. 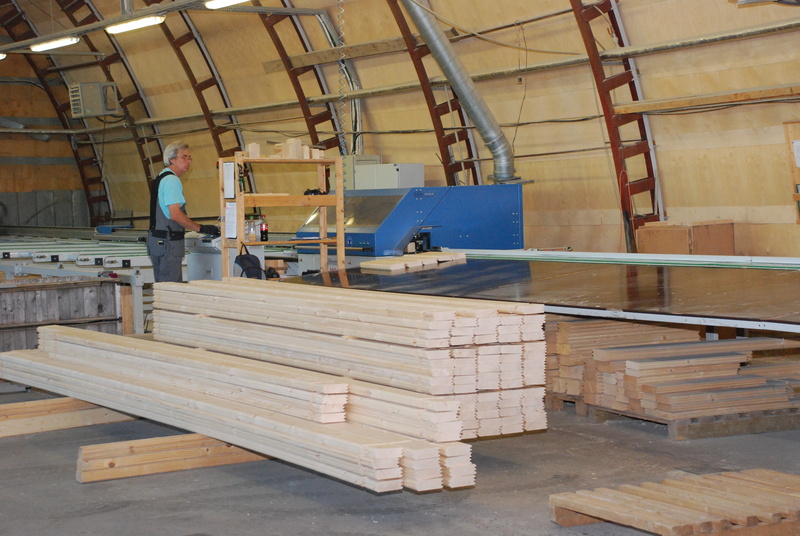 The Homag BOF 12XXL processing centre is used for preparing the window and door openings for wooden houses. The workbench allows for the high-precision production of different types of doors and windows for garden houses and dwellings. The production flexibility is guaranteed by the CAD/CAM DDX software that runs the machine.